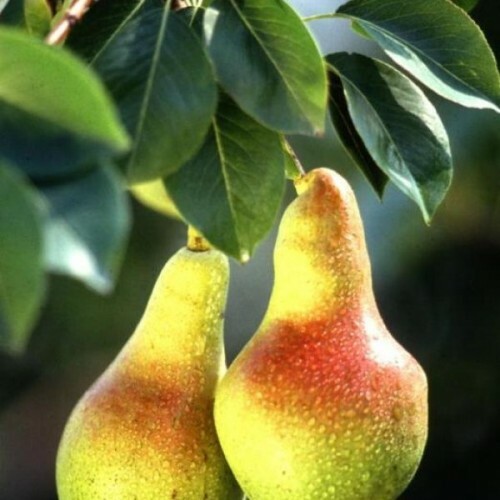 The most widely cultivated and best known pear, 'Bartlett', produces large yellow, blushed pears in late summer that are prized for their juicy, sweet, melting flesh. Pears are deciduous fruit trees that originate from Europe and Asia. They are medium-sized, have upright, pyramidal habits and thrive in most temperate regions. 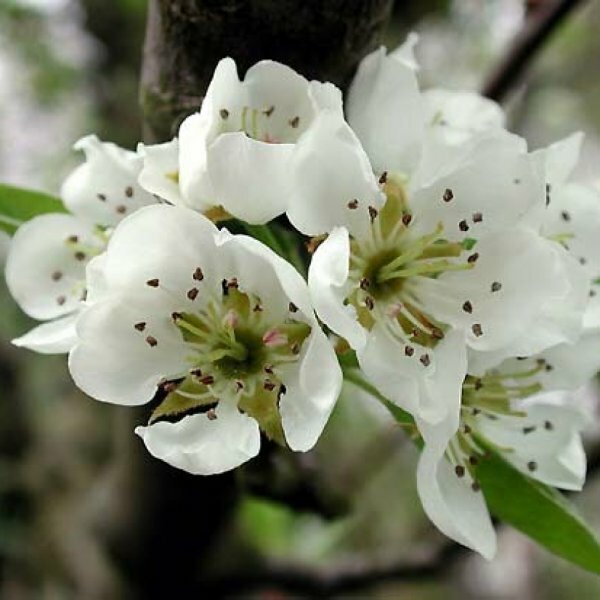 In spring, they produce clusters of five-petaled, white flowers that are fragrant and attract bees in droves. 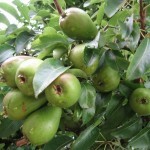 The prolific pears of ‘Bartlett’ mature in by late summer. This cultivar sets more fruit if others are nearby for cross-pollination. Usually picked before the peak of ripeness, pears can store well with refrigeration for extended periods. The fruits of ‘Bartlett’ are good keepers and great for canning. Firm fruits will soften more rapidly if they are placed in a brown bag with a couple of ripe bananas. Eat pears when the skin gives slightly when pressed. They taste great with sharp cheese and also make superb cakes, tarts, brandy and butter. 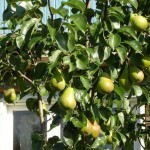 Pears produce best in full sun, though they can also tolerate partial sun. They prefer light, rich soils with good drainage but will tolerate heavier, clay-rich soils. Most require around 800 chilling hours to produce fruit. Pear trees are typically grafted onto rootstock, which may impart a variety of characteristics to include dwarfism, disease and pest resistance, and vigor. Therefore, final height is rootstock dependent. 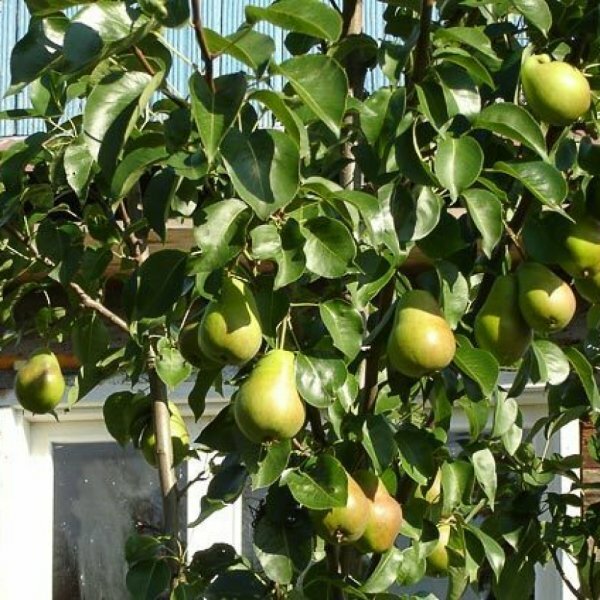 Plant pears as freestanding trees or train them into espaliered forms. Avoid hard pruning and fertilization because they promote fast-growing twigs that are especially susceptible to fire blight, which can disfigure and even kill the tree.